My name is Andrew Barnett Jones and I tell stories for a living; sometimes on stage, sometimes on the page, and increasingly often for the television. 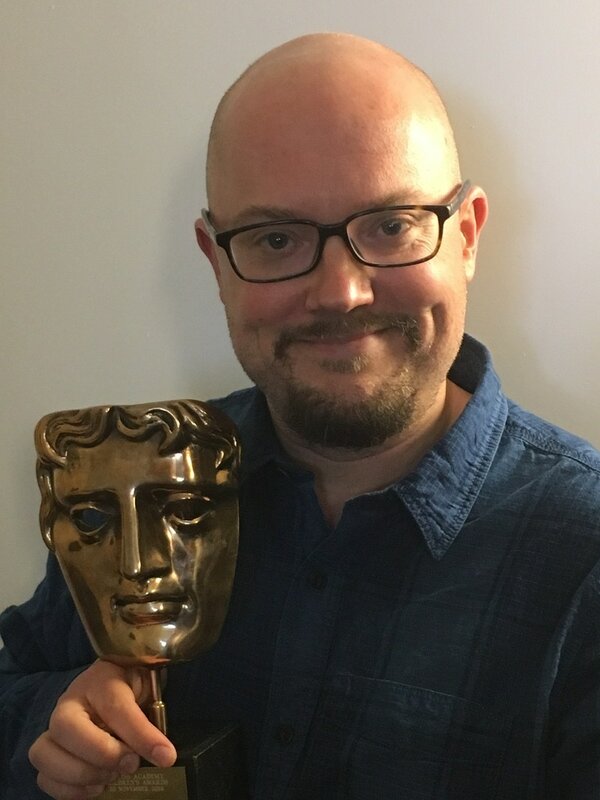 In 2016 I won the Children's BAFTA for "Best Writer" as part of the team on The Amazing World Of Gumbal, and in 2018 won the British Animation Awards' Writers Award for an episode of ​Counterfeit Cat. ​As well as script-writing, I've recently moved into head writing and script editing, on series three of globally popular ​Mr Bean: The Animated Series, ​on three series of Miffy's Adventures Big & Small​, on upcoming new Disney series Best Bugs Forever​, and also on the hugely popular preschool maths show ​Numberblocks​​​​. I got a huge surprise recently when a character we created for ​Furchester Hotel​, Cookie Monster's British cousin Biscuit Monster, suddenly went viral following the episode being screened on National Biscuit Day (yes, apparently there is). Highlights include appearing in the Metro, an incredibly forensic Buzzfeed article, and even leading to an interview with Biscuit Monster on Radio 1! You can currently catch ​Numberblocks ​every weekday on CBeebies, or here on iPlayer. I worked on about half of the episodes in one form or another, and it's possibly the show I'm proudest of my involvement in - finally delivering a maths show where the maths is the heart of the show rather than tacked on as an incidental element. ​If you're heading to Butlins over the holidays, look out for the world's greatest secret agent, ​Danger Mouse​, in his first ever live stage adventure, which I co-wrote. It's huge fun, and if you're lucky you can get your photo taken with the mouse himself! ​Fans of chaotic puppet-based hilarity, rejoice! The inimitable ​Diddy TV ​is returning for a third and fourth series, currently in production, and I co-wrote over half of the sketches and songs. I can't wait to see them! Most of my time nowadays is spent writing children's TV with my friend and writing partner Ciaran Murtagh. We met at drama school, after which we formed a comedy theatre company called The Black Sheep. After touring Great Britain for over a decade, nowadays we mostly stay in our nice comfy chairs and write; you can find our website here or on Facebook here, and more about the TV shows we write for here. I also perform as a storyteller, for audiences of all ages, and run workshops in storytelling, creative writing and stage presence/ public performance. If that sounds like fun, you can find details of my upcoming shows and classes here. If you'd like me to put on a show or run a session for you, contact me here. In fact if you'd just generally like to contact me, you're welcome to do so here.